Gopika Gopakumar - Financial inclusion data shows that the number of bank branches opened 2010-2013 has shown a growth by 30%. Despite this, one out of two people don’t have saving accounts and one out of seven don’t have access to credit. Sushil Muhnot – What is the need for an MFI? As you know we are unable to reach everyone in the banking sector. Banks are commercial and need to look at lending aspects. When you're giving to MFIs you should have a viable institution to invest in. Now, we have great credit rating systems for MFIs so we are able to see which MFIs are viable entities. However, the question now is that since RBI guidelines have come up, there is a margin which has been declared. Based on this margin, we have to think what is the potential size of an MFI which can work in this space? Viability says we need a medium size or a large MFI which can tackle this margin and still maintain viability. This is why banks are facing problems lending to the smaller MFIs which might not be viable in the long run. Gopika Gopakumar – You spoke about a size. But does that not leave out the small MFIs which need these funds? K.S. Singhwan – Latest study by Crisil shows that if we consider the 50K guideline by RBI and consider 70% coverage of the target group then the total demand is 1900 billion rupees. My organization also believes that if you need banks to take a higher exposure to MFIs then we should work to strengthen MFIs. What are the areas we need to strengthen for MFIs? Fair lending practices are being advocated by SIDBI. How do we do this? For banks there is a code of conduct and a few years ago we thought this sector should have one as well. So we worked on one. Then the question arose as to how to monitor adherence to this code of conduct? A third party assessment is being made now to see who is adhering to this code of conduct. This is an improvement. Banks would be happy if MFIs were more capitalized. Smaller MFIs do not have good capital base. So Govt. of India (GOI) came forward after the AP crisis and realized that this sector needs to be supported, nurtured and growth is to be ensured if we really want to reach out to the last man in the queue. So GOI made 100 crore implementing fund. A 200 crore fund has now been announced which is to be given by way of equity to all NBFCs, NBFC-MFIs, and we are doing that. I think you all agree banks should not be asked to give funds to clients who do not have debt absorption capacity. Gopika Gopakumar – what is the adherence to this code of conduct? Are small and mid level MFIs adhering as well or only the bigger mFIs? K.S. Singhwan – smaller MFIs we need to give capital mgt. so we are organizing training for them, use of technology etc. if we give them good amount of training and exposure ..
Gopika Gopakumar– Mr. Dili Raj what about small MFIs.. until SIDBI strengthens them, how will they sustain? Dili Raj – I must say that every large MFI today was a medium MFI and vice versa…. Securitization is a tool which has become a big tool of support. In terms of securitzation, you can do credit enhancement and notch up the MFI rating by one or two notches. WRT code of conduct, till you really get into balance sheet strength, securitization etc. third party asseessments are of a huge help. Finding support is very much required but when we talk about MFI Bank linkage according to me, fiunding support is only the first pillar. We realize banks have credit lending capability, MFis have extensive reach/credit delivery skills. This is the solution to FI. 10, 15, 20 years ago there was a fantastic system here, Development finance institutions (DFIs), MFIs and banks. Now all DFIs are relics except SIDBI. Banks had low cost funding access but couldn’t give it out…. Banks have as of yet never used MFIs to open bank accounts with respect to financial inclusion. Example is SKS. We have 3 million borrowers. By the time I have coffee here my colleagues have conducted 600 thousand banking transactions. So why are MFIs not approached? 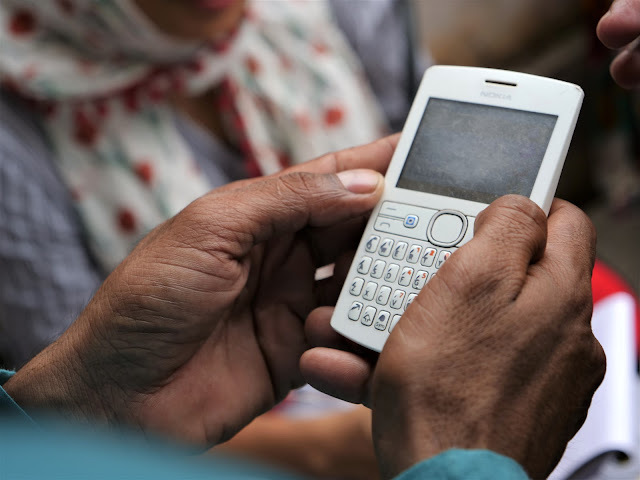 For MFIs our operating costs could come down to 7-8% if we used a mobile banking platform. I don’t see why MFIs cant tie up with banks and used the mobile transaction platforms. In this case, we would still have centre meetings but collection could be eliminated and meeting times would come down and press down our cost. Sushil Muhnot – Banks are lending to MFIs and second aspect which has come up is securitization. Focus is on digitization. I think this could also enforce the credibility of the MFI sector as well and help banks to work more closely. So far due to viability banks are still lending primarily to the larger MFIs. Since the bill has not been passed the risk faced in 2010 still remains. How do you eliminate this risk? By bringing this under the code of conduct, as well as enforcing client protection etc. Once more confidence happens on this side the banks will look at collaboration more and more. Dili Raj - As a representative for MFIs, all of us in this room would have been happier if the bill had been passed. But I don’t think it was absolutely necessary. 3-4 years have passed since the AP crisis and we have not seen that contagion spread to any other state. First and foremost it was because RBI stepped in and gave out a regulatory framework. Other state govts also had conversations about recovery rates, overleveraging of borrowers and collection practices. These concerns were handled via margin caps, a cap on the income of borrower and ensuring not more than two lenders for each client. Collection practices have also been addressed. We have also done a phenomenal amount of back door delivery. The AP crisis eloquently articulated it is easy to stifle MF, but it was obvious that the only result was stifling of credit flow to households. And this is when we’re talking about the state whch has the largest SHG backup in India! Excessive exposure in states has been avoided. Institutional structures have also been strengthened such as the credit buereaus. They say that in good times you make bad decisions, and in bad times good decisions. The last three years have seen the industry make a lot of good decisions. K.S. Singhwan - A few points from the last few minutes – I would like to put before the house that there is a good amount of regulation for NBFC MFIs, along with a number of other norms which bankers have come up with. 80-85% MFI business today is done by NBFC MFIs. So there should be no apprehension that the regulation is missing. I do not deny that smaller MFIs need more regulation than the larger MFIs. Lets talk about the information requied. That is another strong tool based on which funding decisions are taken. Both aspects have been addressed today. SIDBI has created a platform called India Microfinance where information about 100 MFIs is available…. 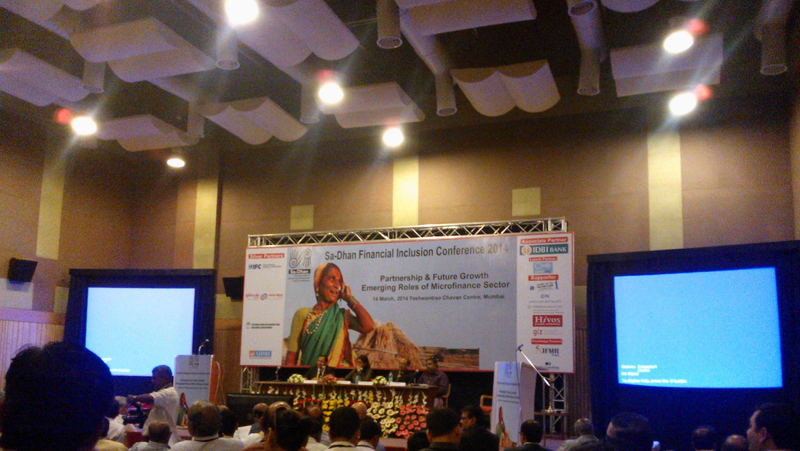 Audience question – how can MFIs worth 5 crore or less grow if you do not give them lending? These MFIs have good systems, are well regulated, what else do you want? Another experience of mine was bank of Maharashtra - IDBI started sanctioning in July, rest banks sanction in only February and March and only once they come to know there is a gap in the priority sector lending. Sushil Muhnot - One solution is that they can go to IMEF, where they can take more equity and once they have that they are more eligible for taking debt. Two, I see a need for consolidation between multuiple small MFIs to form medium scale MFIs. Audience member – Multi regulated mosaic financing is another option which IFMR has an expertise in. K.S. Singhwan – I think viable size accepted in the industry is 40 crore. K.S. Singhwan - We have already increased our lending. If you compare exposure of banks including SIBDI, it was down in 2011-12 but last two years it has progressively increased. Sushil Muhnot – Public sector banks have not increased their lending but now they are also funding in a bigger way. Bank of Maharashtra has not been active but we are going forward in terms of further lending into the sector. Dili Raj – The sector has gone through 4 phases. Till 2010 is growth. Then 11-12 was crisis. Now it is stable growth. There is a regulatory framework in place to deal with political risk. I see consolidation between small MFIs and I see them working with banks as well.